Unlike the legal system of Colorado, in Italy, prosecutors are part of the judiciary. In Italy, the judiciary is said to be fully separated from other constitutional powers. Contrary to important principles in our justice system, in Italy there is a rule requiring all cases to be prosecuted. The Italian constitution does not permit prosecutorial discretion in such decision-making. In Colorado, prosecutorial decision-making is crucial and a key element of pride for our judicial system. Though historically in this nation prosecutors have been said to be tasked with “seeking justice” and obtaining convictions, indeed, in Colorado, a prosecutor is given discretion to define “justice,” and the interests of justice do not always include prosecution. Prosecutors in Colorado are subject to public scrutiny and catch-phrases such as “tough on crime” can effect and control public opinion rather than actual observation of the justice system and independent, evidence-based analysis. In Colorado and the rest of our nation, the justice system is adversarial. Prosecutors and the defense are adversaries. 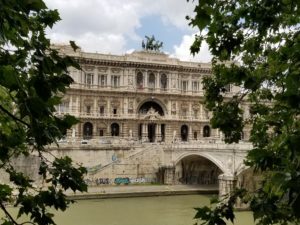 In Italy, the criminal justice system is sometimes referred to as “semi-adversarial” and sometimes as more of an inquisitorial approach to fact-finding. In both the Colorado and Italian legal systems, criminal cases are usually initiated by prosecutors after being reported to them by police officers. In Italy, a defendant may appear in person for trial, or remain absent and appear through his lawyer. In Colorado defendants appear in person, though they may remain silent, and do not appear solely through counsel in all but very minor offenses. While technically courts in Colorado could allow a defendant to waive his appearance and appear only through his or her lawyer, in practice, this is not done and most judges would not allow it. However, if a defendant appears for trial and trial begins, after which the defendant flees, a Colorado judge may actually proceed with the trial without the defendant’s presence. This is a rare occurrence and evidence of the defendant’s flight is likely admissible against him as evidence of guilt, unlike where a defendant chooses to appear through his or her counsel in Italy. In both Colorado and Italy, mistake of law is no defense. Not being aware of a law is not a legal justification for violating it. In both systems there are crimes classified as felonies and crimes classified as misdemeanors. Both systems allow for sentences of imprisonment, including life imprisonment, as well as community supervision (called “probation” in Colorado and “supervised liberty” in Italy). Both have a work-release type sentence, called “semi-liberty” in Italy, and house arrest. Both systems allow the potential for sentence reductions after imposition. In Italy there is the potential for “conditional release” after service of 1/2 of a sentence, or 3/4 if a repeat offender. This appears to be conceptually somewhat similar to Colorado’s earned time early release system allowing the potential for release after service of 50% of a sentence for some offenses and 75% for others. In Italy, the initiation of some cases is by the alleged victim, and can only be prosecuted by the express request of the alleged victim who can also withdraw it up to the definitive decision. This very different from the legal process in Colorado. In Colorado, all criminal cases are brought by prosecutors, and the alleged victim is not technically a party to the case at all. Unfortunately, when the alleged victim does not wish to prosecute, many prosecutors in Colorado put on an air of knowing better than the alleged victim what should be done and hide behind an assertion of protecting the public when it suits them, while at the same time, in other cases, where alleged victims are hell-bent on prosecution, hiding behind a purported and false lack of ability to do anything contrary when the alleged victim is so adamant. While there are certainly good reasons that alleged victims should not hijack and control the legal system, the inconsistent and self-serving positions of some Colorado prosecutors is no better. Also, unlike Colorado, in Italy, when crimes are brought by the alleged victim through lawsuit, the prosecutor may delegate to the Judicial Police reconciliation between the defendant and alleged victim, and if they reach an agreement, the proceeding ends without further prosecution. In reality, nothing similar exists in Colorado (there are some provisions for “restorative justice” but they are so rarely used they may as well not exist). 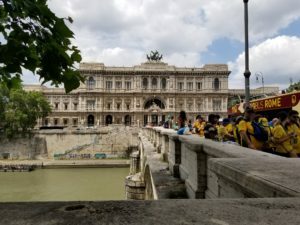 Both Italian and American criminal justice systems have statutes of limitations – a time period after which criminal charges can no longer be brought. In some circumstances, Italy’s time periods appear much shorter than Colorado’s. 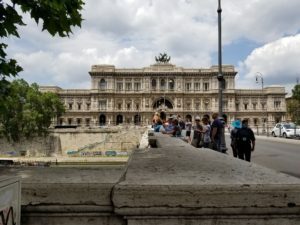 Italy’s system allows an alleged victim to file suit at any police station or prosecutor’s office, or a complaint to be filed by a victim or an uninvolved person. Typically, a victim must file suit within three months of becoming aware of the crime. In Colorado, the statutes of limitations for most misdemeanor and felony offenses is much longer: 18 months for most misdemeanors and 3 years for most felonies. However, in Italy, when a complaint is filed by an uninvolved person there is no statute of limitations, which is obviously much more lenient than the law for most of Colorado’s crimes. In both systems an alleged criminal defendant may be arrested without a warrant, but must be seen by a judge within 2-3 days regarding the arrest. In both systems trials are usually open to the public. The standard of proof at trial in both systems is beyond a reasonable doubt or beyond any reasonable doubt. Appeals may be part of the process in both systems. However, in Italy, a prosecutor can appeal to get a conviction of the accused or to increase his or her sentence. In the United States and Colorado, while a prosecutor can appeal to obtain a rule of law, a prosecutor cannot obtain a conviction of a previously-acquitted defendant through appeal, and cannot increase a penalty for a convicted defendant (unless the initial sentence was entirely illegal to begin with). Quite unlike the American systems, in Italy, in a preliminary hearing, the accused can be asked to be judged by the Judge on the basis of the evidence already gathered instead of having a trial. This judgment is the right of the accused. If convicted, the defendant receives a 1/3 reduced sentence. There is no similar process in Colorado. In the Italian system, plea bargaining can also occur during this time allowing the application of the 1/3 sentence reduction. Interestingly, in only cases of hit-and-run, organized crime, or terrorism in Italy is there an allowance for financial compensation for victims. In Colorado, all victims are compensated; in fact a court must compensate a victim for all harm caused by the defendant in the offense. 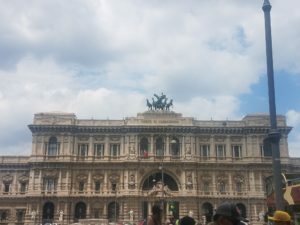 In Italy (in cases other than hit-and-run, organized crime, or terrorism), the victim can ask for damages by bringing an action civilly or by bringing the case before the criminal court in the trial of the defendant.